Rocket Readings: Is Inbound Marketing Right for Your B2C Company? Is Inbound Marketing Right for Your B2C Company? It’s no secret that Inbound Marketing is often thought of as a strategy best suited for B2B companies. Let’s face it: B2Bs operate differently than B2Cs and have different goals. For instance, a report from Webmarketing stated that the main goal of B2B businesses was to generate leads while the main goal of B2C companies was to increase awareness of their brand. However, isn’t one of the main goals of Inbound to increase brand awareness? When leveraged for the appropriate type of B2C and when executed properly, Inbound Marketing can be as effective for B2Cs as it is for B2Bs. So, now you’re probably wondering how, or even if, Inbound Marketing can work for your B2C, right? Lucky for you, I’m here to help guide you down the path of B2C Inbound Marketing success. 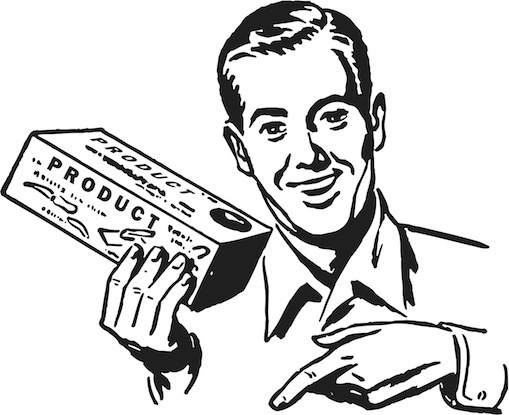 What B2C Products Work for Inbound Marketing? From paper clips to televisions, and car repair services to exterminators, B2C companies need to meet the needs of customers in a million different ways. Some of these products, such as paper clips, are very low involvement purchases with not much thought going into the decision to buy, and often involve very little advanced planning/budgeting. With a product like this, an Inbound Marketer has limited opportunities to use inbound tactics effectively. On the flipside of that scenario we have those high-dollar, high-involvement purchases that buyers tend to research before making a final purchase decision. From TVs and mountain bikes to lawnmowers and replacement windows, high involvement purchases will see the best success with Inbound Marketing, even when there isn’t a high volume of sales. Okay, the Product That I Sell Would Benefit from Inbound…What Should I Do? What’s the first thing that you would do when you’re going to buy something quite expensive, like a fancy new television or even a car? Seeing that it’s the 21st century, I would venture a guess that you’d fire up Google and try to find some reviews, and even manufacturer specifications. You wouldn’t be alone. According to Internet Retailer.com, approximately 83% of consumers go online to research a product before they purchase it and an increasing number are purchasing products online. Become the go-to resource for consumers looking for information on products in your industry. If yours is a complicated product, demonstrate how it works and highlight advantages over competitors, and benefits your product offers its users. This can all be done through a blog or, better yet, a video. Check out General Electric’s visual blog which takes complex topics and visualizes them for easy interpretation. Blogging for your B2C is a great way to generate new content for your site and help you rank better in search. Ranking better in search will help you increase your brand awareness, a top goal for B2C companies. Social media platforms such as Facebook and Twitter should be used to connect with your targeted audience. This is a great place to engage your community with questions and understand their pain points, making it easier to help solve them. Even just monitoring trending topics can give you an insight into your customer base. Posting relevant content to these social media platforms will also generate more credibility with your customers. Instead of pushing your products, put out relevant industry news or events that your customers might be interested in. All of these postings and interactions on social media will increase your brand awareness and give you more of that “Google juice” for search engine optimization. It also enhances your position as an expert and a helpful resource. You likely have some traditional outbound tactics set up for your company right now. Use those to leverage your new Inbound Marketing tactics! Marketo summed this up nicely in an Inbound Marketing piece that explains how your outbound tactics should lead your customers to your Inbound Marketing. You can use paid tools and resources to specifically target certain customer groups and then use your Inbound tools to generate warm leads and nurture them through the sales process. Done correctly, and with consistent effort, Inbound Marketing will work for your B2C company. The proper execution is key and a targeted effort rather than carpet bombing your prospects will pay off in leads and new customers. There are many examples of B2C Inbound Marketing success and you don’t need to be a huge company like Nike or Apple to pull it off. Check out a few examples from HubSpot of success stories their B2C customers have seen.